All our rooms are fitted with crisp white linen and Charlotte Rhys bathroom amenities. Room rates include WiFi access and a comprehensive continental breakfast menu. Tea and coffee, rusks and biscuits all are available throughout the day. 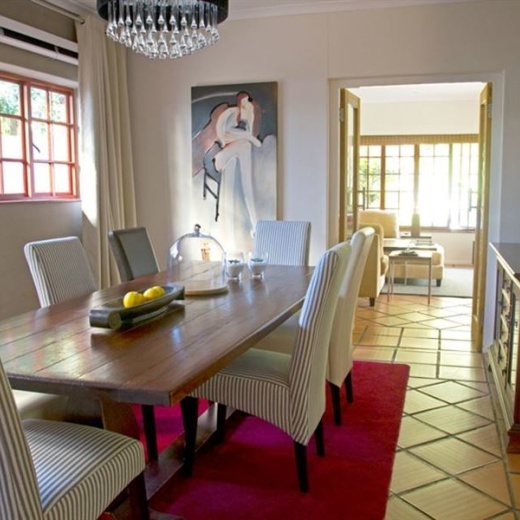 Huntley Bed and Breakfast is situated in the suburb of Tokai, Cape Town. Named after the Tokai forest which was originally planted by Simon van der Stel in 1694, it has natural boundaries with the Forest, Constantiaberg Mountains & Uitsig wine farms. The 4 bedrooms all with private bathrooms have complimentary Tea and Coffee trays, DSTV, Charlotte Rhys amenities along with crisp white linen on the beds. Guests are welcome to make use of the swimming pool, lovely gardens and outdoor patio. Access to the Wi-Fi is available for our guests at Huntley. 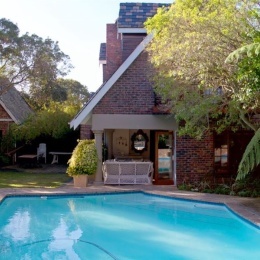 Huntley Bed & Breakfast offers absolute comfort and convenience along with a warm welcome to both the business and leisure traveller. We are located under 2km from the US Embassy/ Consulate. Both the Westlake and Steenberg Office Parks are a short drive away. Private spaces in the gardens and courtyards offer respite from the bustling activities available only a stone’s throw away.